The 2016 annual relives boxing’s greatest nights through the eyes of the triumphant fighters. 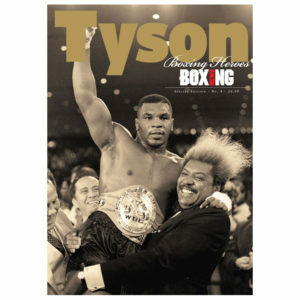 The likes of Ricky Hatton, Joe Calzaghe, Carl Froch and many more will take the reader through every element of their finest hours, as if they were there with them. 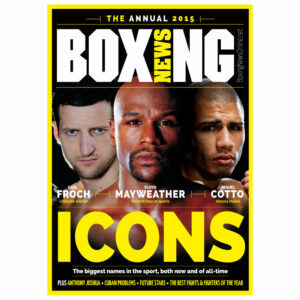 There’s also a Review of 2015, covering all the major events and developments from a great year, including the Floyd Mayweather vs Manny Pacquiao Fight of the Century, the rise of Premier boxing Champions and a raft of Brits winning titles overseas. Add our all-important year-end awards and you have a must-have stocking filler and reference tool for anyone who views themselves as a boxing fan.